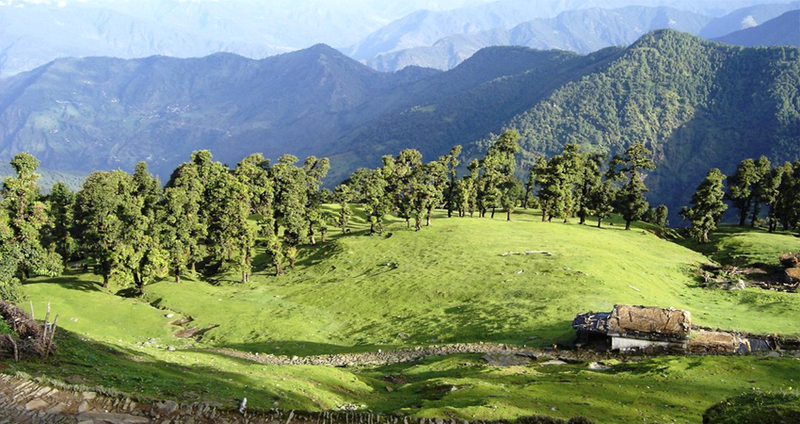 Chopta have opaque forest of Oak, deodar and Rhododendron and from here trek starts for Chopta. Mountains and valleys present us the most wonderful view. Whether it is the snow dressed mountains or the flora covered hills, there is something about the scenery that keeps on sketch people towards them. Chopta is one such place where you can retreat away from the shout of the city and get pleasure from the peace and natural loveliness. From here you can enjoy the scenic beauty of the region and mountains covered with dense foliage. The place has not yet been defiled by commercialization and thus has maintained its pristine appearance. Chopta is known as the Mini Switzerland because if offers the most eye pleasing view of the landscapes. The weather is good almost throughout the year but most pleasant throughout summer season. If you want to see the snow covered land, visit the place anywhere between November and March. . 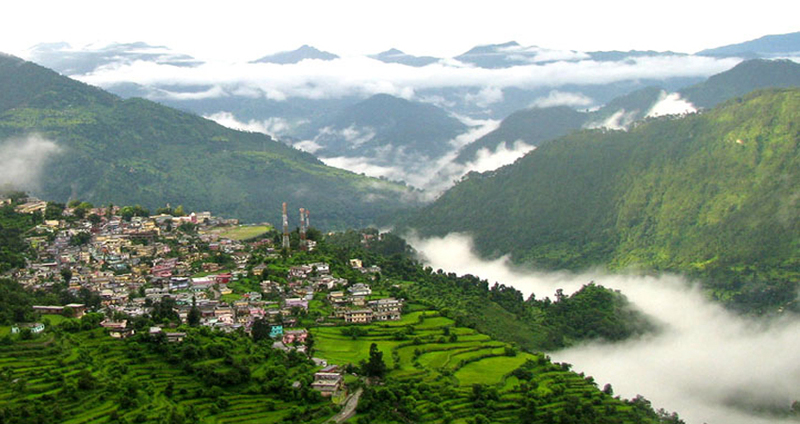 It is one of the few places in Uttarakhand that are very less peopled. The scenery is pure as commercialization has not spread its wings here. 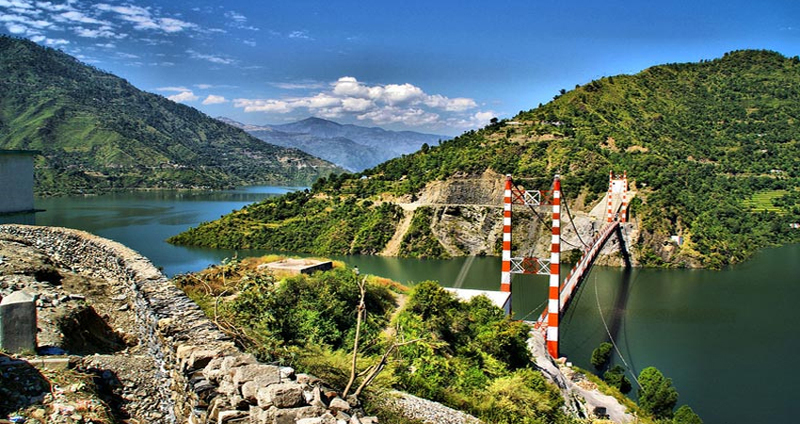 It is one the most well-known places for trekking in Uttarakhand as well. Chopta is a small resolution and valley that is situated in the Indian state of Uttarakhand. This region is very well-liked among tourists, mostly because of the number of alternative it provides for exploring. The whole area is a haven of loveliness, and the ones among you who are looking for a good place to relax, without the hustle and bustle of a typical traveler hotspot can visit Chopta valley and gaze in awe at the many peaks to be found a short distance away from the valley. Tungnath Temple : Tungnath is the uppermost temple of Lord Shiva perched at a height of 3,680 mts above sea level. The holiness of the area of Tungnath is measured unsurpassed. Tungnath is one of Panch Kedar and Shiva's arm is worshipped here. Chandrashila : Chandrashila can be reached following a little more than 1km trek from Tungnath. From Chandrashila you can enjoy 360 degree wonderful views of the huge Himalayas. 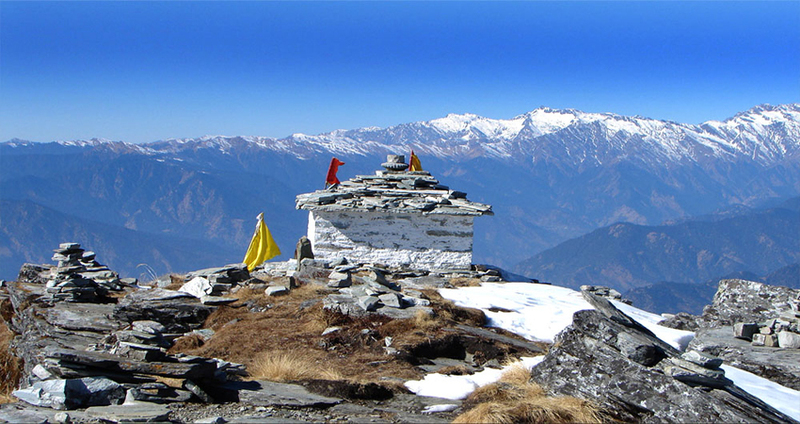 Chandrashila is the uppermost point of the mountain on which Tungnath Temple and Chopta are located. 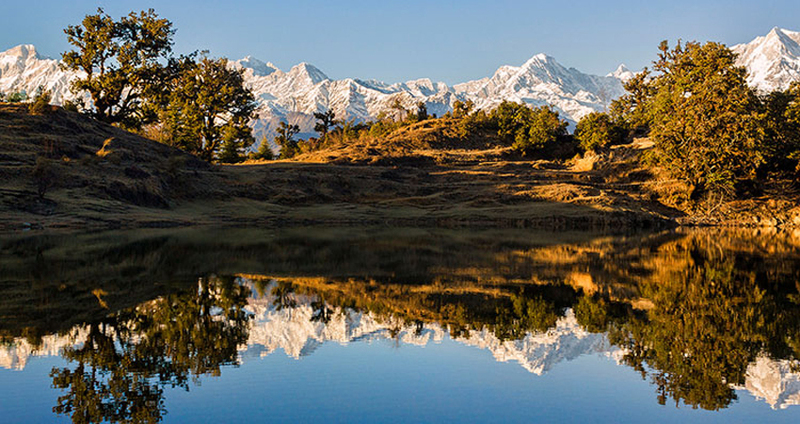 Summers in the area of Chopta expand through the months of March, April and May. These three months will experience an utmost temperature of around 30 degrees (30°C) and a least temperature of around 10 degrees (10°C). Chopta valley is best visited throughout the summer, due to the enjoyable weather. The months of July, August and September are the monsoon months in Chopta. Rainfall throughout this time will be mild, and the generally weather will be enjoyable. You should carry along sufficient rain gear throughout your trip to Chopta at this time. Winters in Chopta run during the months of November, December, January, and February. The maximum temperature in the area throughout this time will be around 15 degrees (15°C) and the least temperature will be around minus 15 degrees (-15°C). Chopta just like all trekking spots there are many hotels. And also the different hotels that are available in places located close by. Hotels in Barkot offers all type of necessary services like banking, medical, shops and all sorts of comforts and warm hospitality. From inexpensive hotels to exotic resorts, accommodations here are completely fit for your budget and holiday mood alike. Hotels and guest houses here are managed capably and highly focused on cleanliness, hygienic environment and quality of service so you can enjoy your holiday without any hitch. We have extensive lists of budget and luxurious hotels in Chopta which you can book here at exclusive discount rates.